Have you ever read the labels on fun seasonings like Cajun Seasoning and Lemon Pepper? Unless they’re organic, spice mixes like this often contain unwanted ingredients like silicone dioxide and yellow 5 lake. Who wants to eat that? Recently, we’ve started making some of our own seasonings from scratch using mineral rich Celtic sea salt and other healthy ingredients. The one I have to replenish most often is this versatile lemon pepper. Lemon pepper is really easy to make at home. 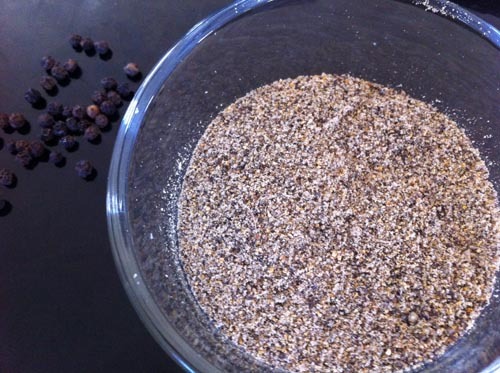 It’s helpful to have a spice mill or coffee grinder, but you could even use a blender instead. 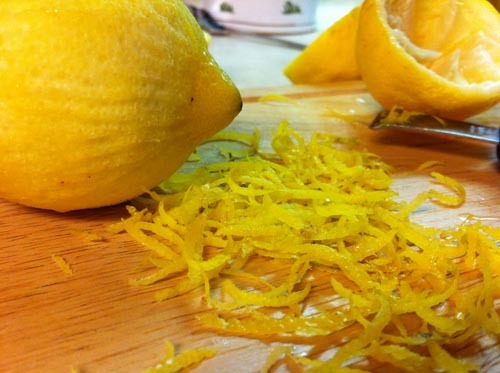 Step 1: Dry the lemon zest. Some recipes call for drying the lemon zest in the oven with the pilot light on, but every single time I did it that way, the zest ended up tasting almost burned, even though I only had it in there for 30 minutes. So all I do now is spread the zest out on a plate and leave it for about 24 hours to dry. Step 2: Grind the lemon peel and black pepper. 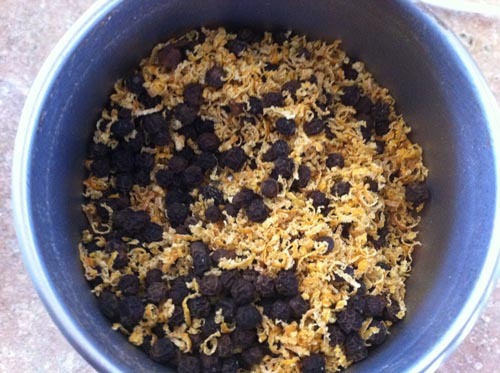 Once the lemon peel is dried, all you have left to do is grind it together with the black pepper corns (or pre-ground black pepper). 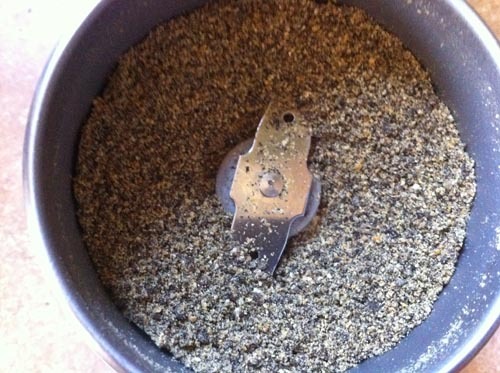 I use a little spice mill for this, but you could easily use a blender or even a mortar and pestle. Step 3: Stir in the salt. The amount of salt you add is such a matter of personal preference, I almost didn’t put in the amounts. 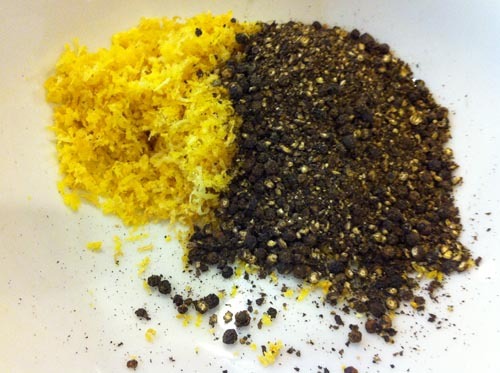 I use about the same amount of salt as the combined amount of lemon zest and pepper. So if I end up with 1/2 cup of lemon and pepper, I’d use 1/2 cup of salt. Start with a little less than what you think, and add more to taste. Whatever the amount you settle on, it’s best to mix in the salt with a spoon. Next on the agenda is to get a succulent little chicken into the oven, sprinkled all over with your beautiful lemon pepper! 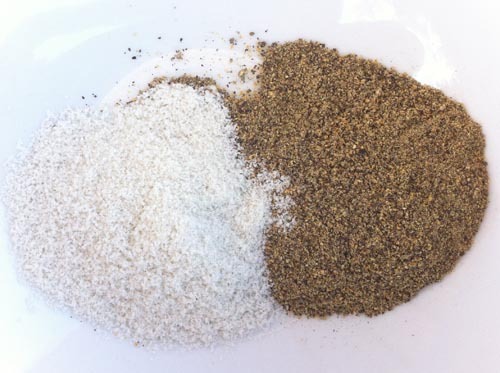 What kinds of seasoning blends do you make from scratch?